when buying a pre-owned aircraft. AEROCOR’s Operational Check & Acceptance Program provides a clear and comprehensive understanding of the condition, configuration, and value of your target aircraft. Uncover damage history and missing records. Verify the status of all maintenance and inspections. Confirm the aircraft is configured as advertised. Test EVERYTHING – from cup holders to emergency equipment. Expose the aircraft to real flight conditions in order to discover discrepancies that a normal pre-purchase inspection may miss. Ensure the aircraft performs as advertised. Summary of findings with supporting detailed report, from investigation of over 500 individual items, delivered to you in a simple, easy to understand format. Review log books for indications of major problems. Ensures identifying problems prior to investing additional money on due-diligence, and lays the foundation for more detailed future analysis. Focuses primarily on uncovering: missing records & undisclosed record gaps, damage history, currency with major inspections, recurring squawks. Compare advertised equipment with actual installed equipment. Whether intentional or not, mistakes happen. Either way missing equipment can have a substantial impact on aircraft value and usability. Finding missing equipment provides the opportunity to either renegotiate aircraft price or walk away before you end up with an aircraft that you do not want. Normal pre-flight checks, supplemented with additional checks AEROCOR has developed based on our experience with these aircraft. This includes a full check of items often overlooked, such as the functionality of seat adjustments, lights, window shades, air-vents, etc. From Nose to tailcone, we inspect the aircraft to identify cosmetic and interior damage. Divided into fourteen separate sections, our inspection list covers one hundred and fifty line items and includes removal of associated access panels ensuring that nothing is missed. From the major to the minor, nothing is overlooked. Our checklist has been designed to identify even the hardest to detect anomalies. That means testing every switch, knob, button, light, outlet and vent in the aircraft. Each subpage of the avionics is analyzed for proper indication and every function is tested for proper operation. When the details matter, AEROCOR has you covered. Many operational characteristics can only be tested in actual flight conditions. Problems can exist which go undetected by even the most complete mechanical inspection. AEROCOR’s flight test profile is designed to expose the aircraft to a full range of scenarios and test all systems under various operational conditions. 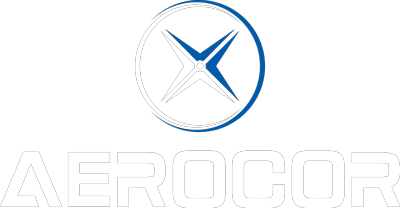 AEROCOR will deliver both a summary of results and a detailed report of all the findings from our tests. The net result? Clarity. Armed with a clear picture of the aircraft, you will have the information you need to make informed decisions that will save you thousands of dollars and provide a level of confidence and peace of mind that is priceless. For an additional fee, AEROCOR will provide a complete value analysis utilizing our proprietary market data which includes adjustments for hours, configuration, and pedigree. Armed with full details about the aircraft and its value, you will have the proper context required to make informed decisions. Get the data that gives you the advantage. AEROCOR is trustworthy, accurate and reliable… and carries the best solution.